All-purpose KinderMat features strong 10-mil vinyl. Our cushiony, tough mats are made up of four sections so you can fold them up and store them wherever you need to. This mat comes in blue and teal with gray binding to help promote sleep and relaxation during nap time! Measures 1" x 24" x 48", folds to 12" x 24". All-purpose KinderMat features strong 10-mil vinyl. 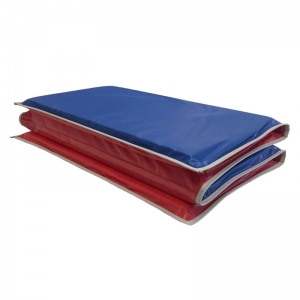 Our cushiony, tough mats are made up of four sections so you can fold them up and store them wherever you need to. This mat comes in blue and teal with gray binding to help promote sleep and relaxation during nap time! Measures 2" x 24" x 48", folds to 12" x 24". KinderMats 1" Daydreamer Mats are made in the USA with a high-quality foam to ensure comfortability. The blue/teal extra-tough 10 mil vinyl is water resistant and easy to clean as well as disinfect with warm soapy water. 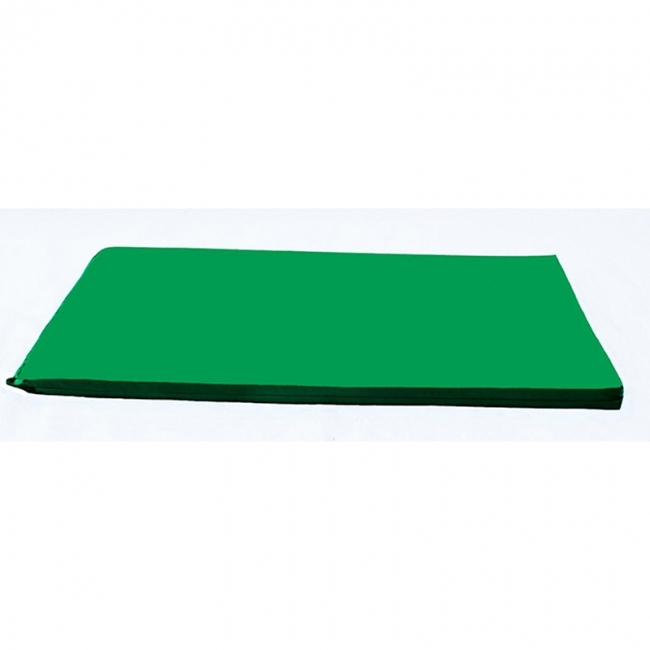 This heavy-duty mat is the perfect option for school, daycare or home. With four sections and a tri-fold to 12" x 24". Measurement of 1" x 24" x 48". •Measures 1" x 24" x 48"
•Four sections, with a tri-fold to 12" x 24"
KinderMats 2" Daydreamer Mats are made in the USA with a high-quality foam to ensure comfortability. 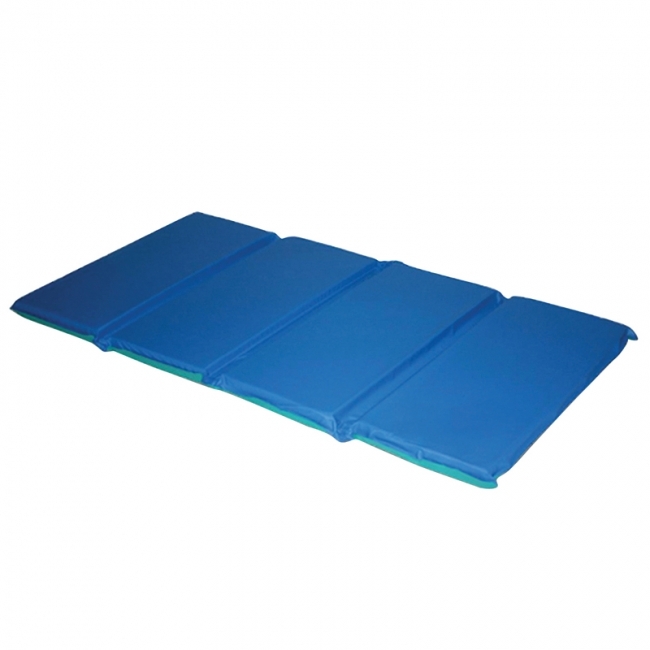 The blue/teal extra-tough 10 mil vinyl is water resistant and easy to clean as well as disinfect with warm soapy water. 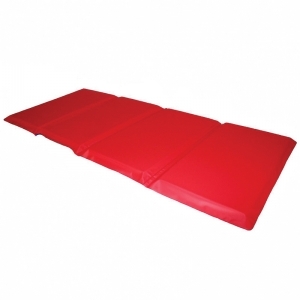 This heavy-duty mat is the perfect option for school, daycare, or home. With four sections and a tri-fold to 12" x 24". Measurement of 2" x 24" x 48". 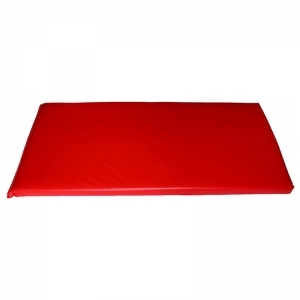 •Measures 2" x 24" x 48"
The Basic KinderMat features 5 mil vinyl in red/blue combination, four section, three fold mat is 5/8" x 19" x 45" flat and folds to 11" x 19". Just right for cubbies! 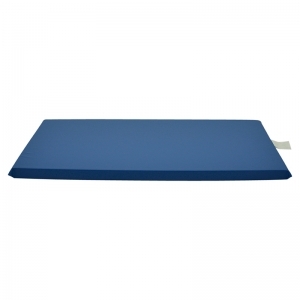 made in the USA with a high-quality foam to ensure comfortability. The red/blue durable 5 mil vinyl is water resistant and easy to clean as well as disinfect with warm soapy water. 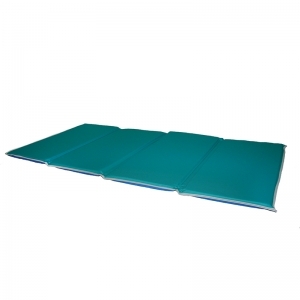 This mat is the perfect option for school, daycare, traveling or home. Individually packaged in a poly bag. KinderMats 1" Basic Mats are made in the USA with a high-quality foam to ensure comfortability. The red/blue durable 5 mil vinyl is water resistant and easy to clean as well as disinfect with warm soapy water. 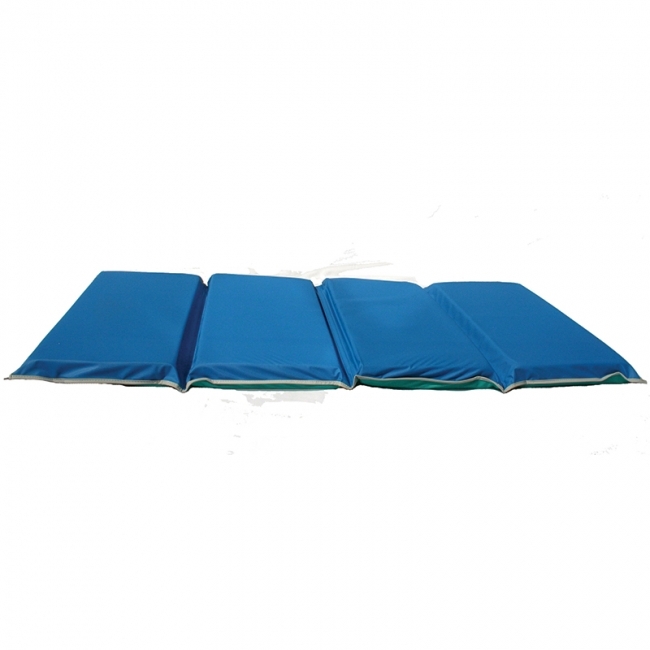 An added touch to this mat, the gray binding provides extra strength and durability on the edges. 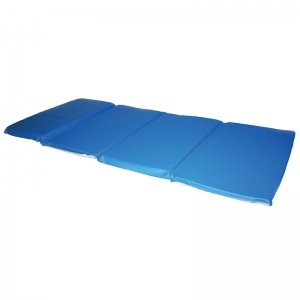 This mat is the perfect option for school, daycare, traveling or home. 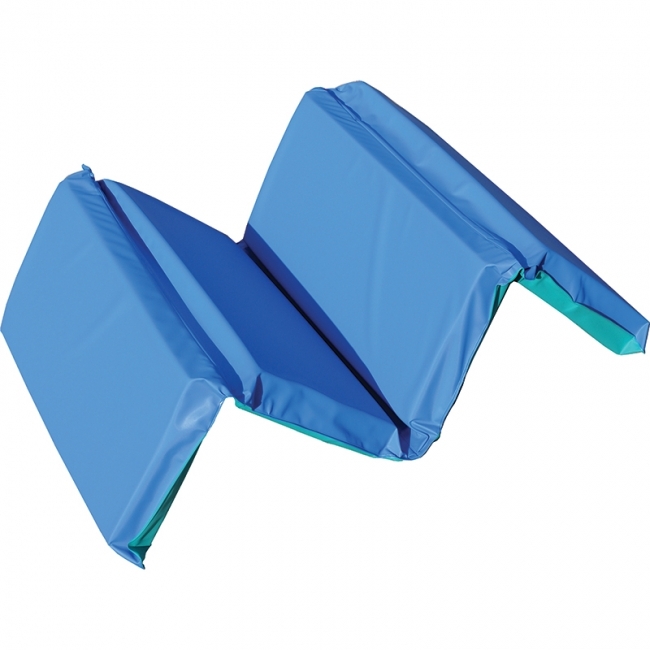 With four sections and a tri-fold to 11" x 19", it's perfect for cubbies! Mats are individually packaged in a poly bag. Measurement of 1" x 19" x 45". Kids will dream easy on our KinderMat Rainbow Designer rest mats. Perfect for school, home, and daycare. 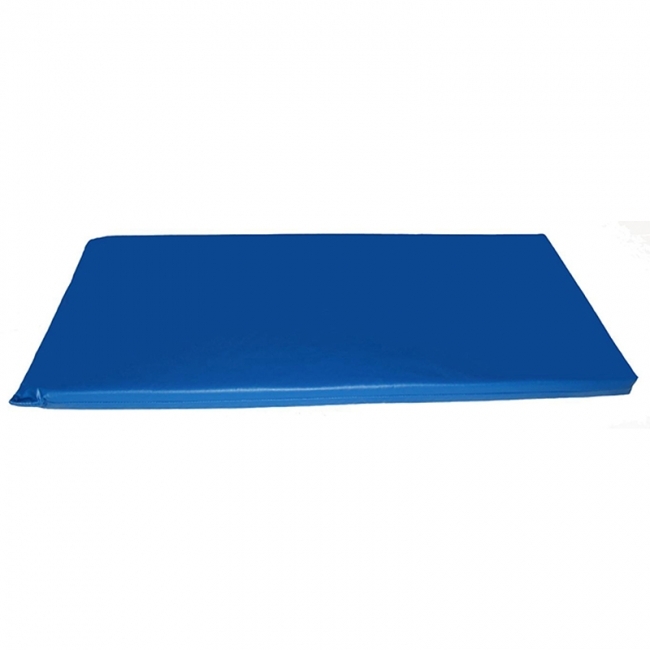 These mats are non-folding and measure 2" x 22" x 48". All of our mats are made in the USA with a high-quality foam to ensure the most comfortable snooze and covered with a super soft vinyl which is water resistant and easy to clean, simply disinfect with warm soapy water. 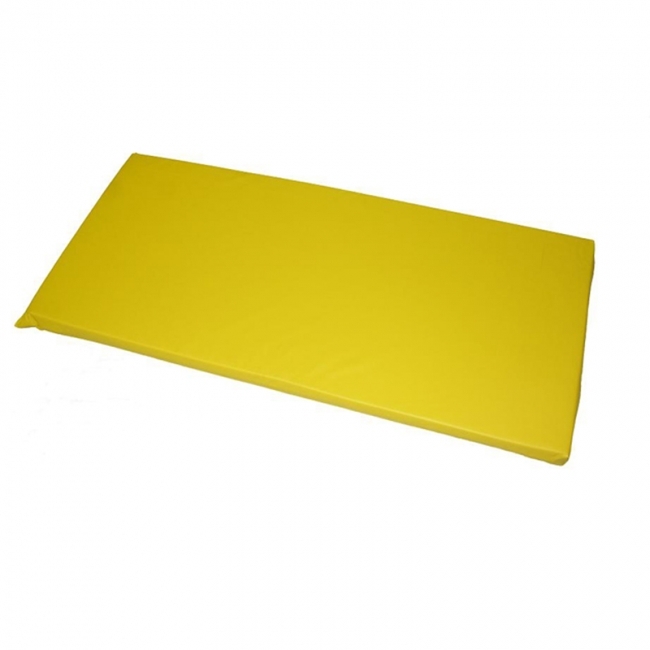 An added polyester backing creates extra strength for your mat. Completed with an inside seam construction. 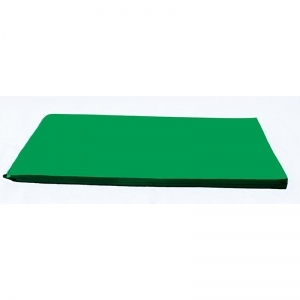 • Measures 2 inches thick by 22" X 48"
Quality mat with a budget price. The tough, 8-mil vinyl material of these mats gives them the ability to stand up to any potential tear or spill! This awesome mat comes in a blue and gray combination to add an array of color to your classroom or daycare. This mat for toddlers is split into four sections so you can easily fold and transport them from place to place. Measures 3/4" x 21" x 46", and folds to 11" x 21".